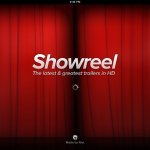 Showreel ($2.99) by Riot is an iPad-only app that lets you watch official movie trailers in glorious high definition. 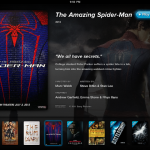 More than just a trailer aggregator, this app formats your display to make you feel like you are watching it all on the big screen. 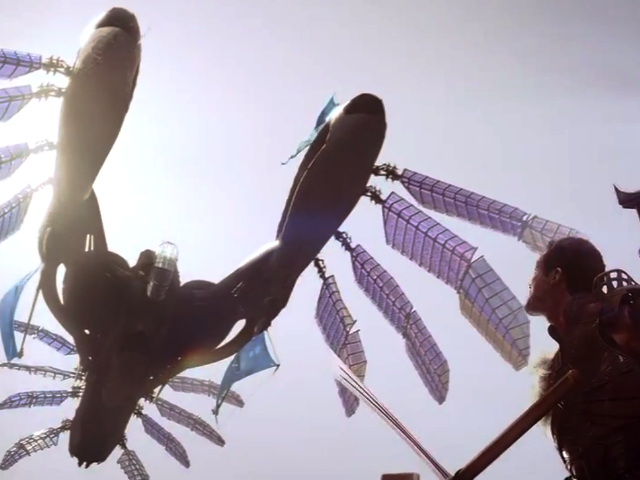 Currently, there are 27 blockbuster trailers on Showreel. Most are for movies that have yet to be released. 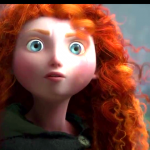 A few are for movies that have already opened in theaters and are inching toward the sunset every moment. 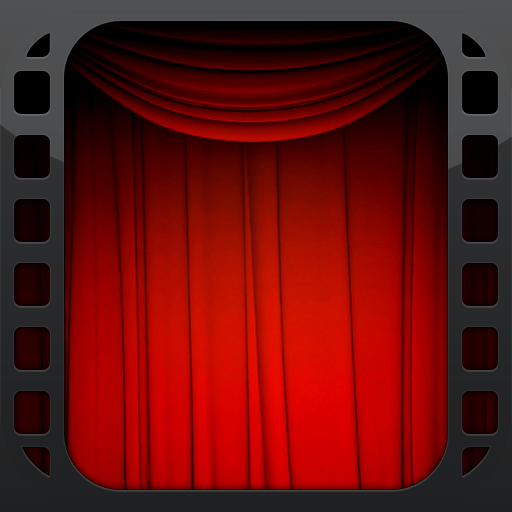 While the currently available trailers are not necessarily the newest and most popular releases, this app is a great way to see beautiful high-quality trailers without the extra noise that comes from watching them on various Internet sites. 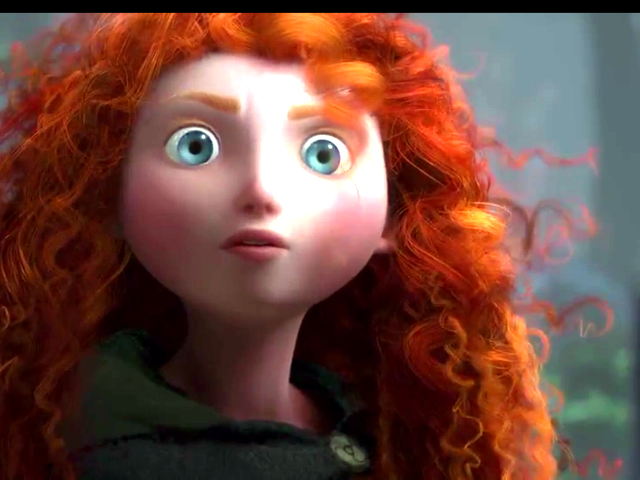 There are no pre-trailer commercials, no sidebar advertisements, and no “like” button. It is just pure movie enjoyment. Showreel is AirPlay enabled, so you can stream movie trailers in 1280×720 resolution to AirPlay compatible devices, like Apple TV. 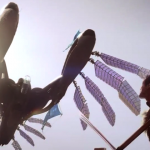 Trailers are updated weekly. 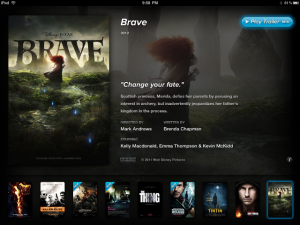 All you have to do is hit the “play trailer” button, select AirPlay if you desire, and start watching. 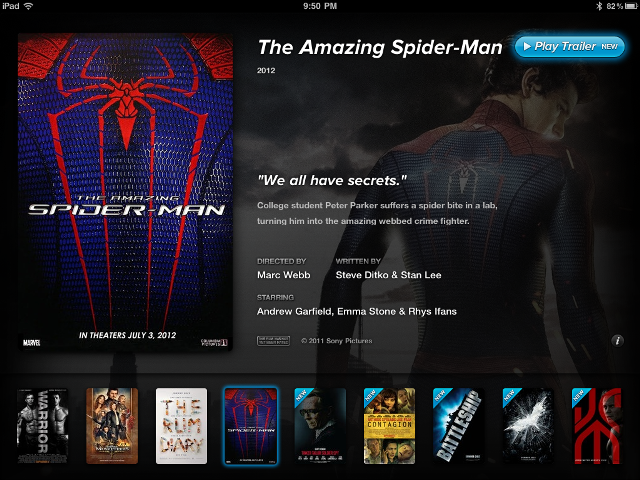 If you are a fan of movies and love to watch trailers, this iPad-only app is fantastic. The design layout is stunning, making the experience seem elegant and unique. The $2.99 price tag is a bit high, but the quality of the product makes it worth every penny. 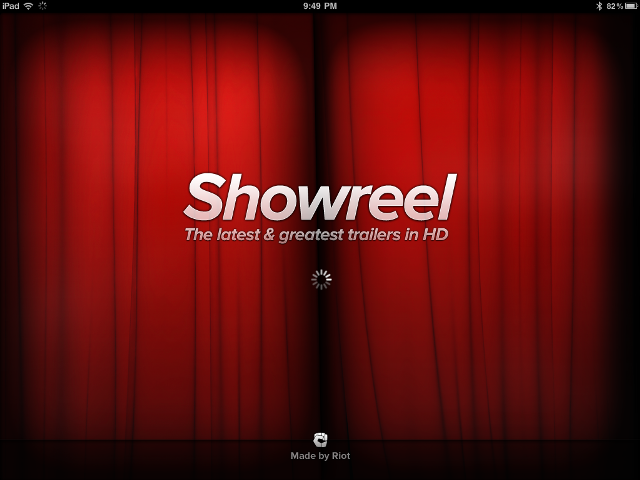 If $2.99 does not seem like a steep price to you, then pick this up in the App Store and begin the Showreel experience.